PHP is a script programming language used to develop the web applications. Those who are eagerly browsing for better PHP with Laravel training online course. here, we suggest these courses with all basics on Database, bloggings and its frameworks and this course is being taught to you with all the best instructors and we kindly recommend to go through these courses because our experts of panel handpicked these courses of PHP with Laravel as the best courses. you can easily prefer these courses because these courses are very useful for making your career bright. By choosing these courses you can also cover some of additional topics like installation of CRUD and XAMPP environment and real CMS apps and how E commerce plays role in these projects. Edin Diaz is the creator of this course PHP means Hypertext Preprocessor. This course also created by Coding Faculty Solutions. Edwin is also a Premium Udemy Instructor and Web Developer. He has nearly 320k students. You can learn some of the other technologies related to this course. You can learn in this course Arrays, Databases and Variables of PHP. More than 53k students are enrolled to learn this course. Certificate also provided after completion of this course. This team and the instructor teach you with real life examples and they make you learn in easy way. This team offers you 37 hours video and 1 article with full lifetime access. In this course you can learn about PHP security, MySQL and Code Debug. Working with Files, Constants, Functions and Data Bases also be learn by using this course. How to create Pagination, Data forms Submission to Databases, sending Emails and Control Structures in PHP also teach by the team. Learning of launching online applications, creation of URLS, refactorization of code, Object Oriented Languages. You can also learn how to use jQuery, Cookies in PHP, Bringing Data with API, Composer with PHP packager and HTML. They teach you how to create Content Management System like Joomla, WordPress and Drupal. Removing .PHP from the files and Protecting Credentials with .ENV also be learned from this course. Here you will learn the extra new features of CMS like multi language features, creation of separate admins of logged in users, real time notifications with the pushers, post likes, forget password system etc. Web Applications are created by University of Michigan and taught by Charles Severance.Charles is an Associate Professor. In this course you can learn data structures of the Arrays, Variables, Super Global Variables and More. The instructor will teach you easily and with understandable examples. If you have any queries regarding to this course you can clear those queries they available 24/7 online chat. You will be certified after the completion of this course. This team mainly focus on building of Web Applications with PHP. you can also learn some of other concepts like Request cycle, Post Redirect and Get redirect. Introduction of Web Application Development and Cascading Style Sheets are taught by the instructor. From this you will learn the procedure that how to install and how to integrate MySQL Environment like MAMP. You can learn basic structure of Preprocessor and Hypertext Markup language and Hypertext Transfer Protocol. Interaction of a web browser with web server also be learned in this course. Dynamic web content exploration also be learned by this team. They can make you learn some of the other basics like CSS and this Cascading Style Sheets make that web pages to be style. Installation of XAMPP and Text Editor also be learned in this course.MySQL Database creation and PHP programming also be learned in this course. In this course you can also learn Functions and Arrays of PHP. you will understand all the basic structures of web applications. Edwin Diaz and Coding Faculty Solutions are created by PHP OOP(Object Oriented Programming). Edwin is also a web developer and udemy instructor. He has built many Websites, Applications and Programmes. With his knowledge he will teach you in a easy method. Total 11k+ students are registered for this course. You will get a course completion certificate at the end of the course. 316k students trained with this team. Course related queries will be explained by the team in live chat. Diaz teach you coding in different programming languages and managing of websites. This course offers you 19 hours video and 1 article with Full Lifetime access. This course make you learn some of the basics in PHP, Database Testing Query and Fundamentals of Object Oriented Programming Language. You can learn how to build Photo Gallery System, editing and modifying files, creating pages and databases, Projecting Assets and Directories. Creating the login pages, Controlling access, Understanding File permissions and some other basics in Files like Sending files, Error codes in files and Uploading files. Analyzation of structured uploaded files and configuration of PHP to upload files are explained in this course. Inserting ID Method and testing method also be learn in this course. Objective Properties like assigning POST Values also be learned in this course. Learning of Footer Modifications and indication of Looping CSS also be done with this course. You will learn about the methods, class inheritance, static modifier, control modifiers, modifying and editing different files, page creation etc. Dave Hollingworth is the creator of this course called PHP Model View Controller. He has more than 30 years of experience in programming and interested to teach about technology. He has nearly 8k students. Dave created a quotes system and his first web application for a insurance company. More than 3k students enrolled to learn this course. In this course they discuss about development of web applications and MVC Framework.you will be certified after completion of this course with your name. If you have any queries about this course you can get answers by the team and they will be available for live chat. This course offers you 3 hours video and 7 article with full lifetime access. Using of an MVC Framework, Composer tool and Sorting of Framework. You can learn how to build a PHP Framework from Scratch. This course makes you learn how to separate application code and Frameworks like Symfony, Codeigniter and Laravel. You can also learn how to use namespaces and third-party package dependencies. Exceptions and Error Handling also be learn in this course. Organisation of PHP code into Models, Controllers and Views with a Framework in a Model View Controller. Securing Hypertext Preprocessor websites by using MVC Framework from Scratch also be learned in this course. Some of the other topics also learned in this course, those are Web server and Database server. You will learn how to create the objects and know how to run them dynamically. PHP MySQL is created by Jazeb Akram. He is an Web Developer and worked as a Freelancer since 8 years. As an outsourcer he designed many applications for the companies. Nearly 51k are trained by him. By this course you will be professional in Back-End Developer. More than 39k students are enrolled to learn this course. You will get a course completion certificate at the end of the course. Queries related to this course also be answered by Instructor and he will be available 24/7 on live chat. Even though the complex modules also explained in logical and easy method which will understands by you. This course offers you 20 hours video and 21 articles with Full Lifetime access. Fundamentals of PHP and Implementation of PHP MySQL and Making Web Pages by using PHP Techniques are the topics that you learn first. How to use Bootstrap template in Bootstrap Framework also be learned in this course. With the Admin-Panel you can learn how to complete Content Management System named as CMS. 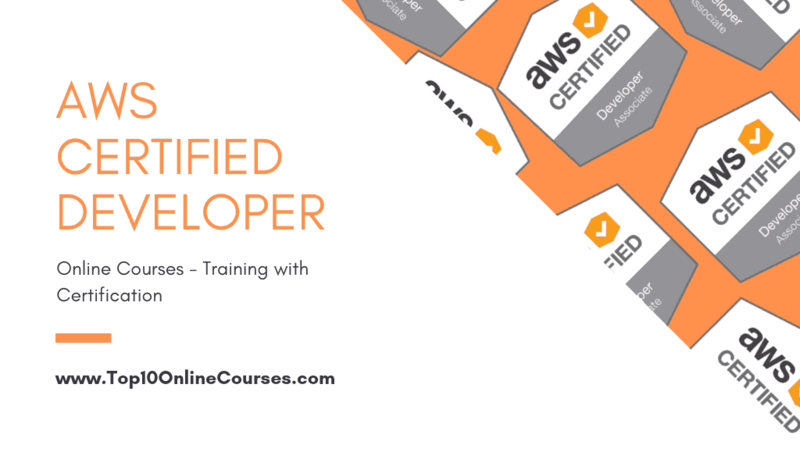 You can learn how to differentiate modules in PHP Sessions and also learn how to build professional CRUD. This CRUD system used in Employment Management. The powerful Super Global Variables and Static Variables also be learn in this course. 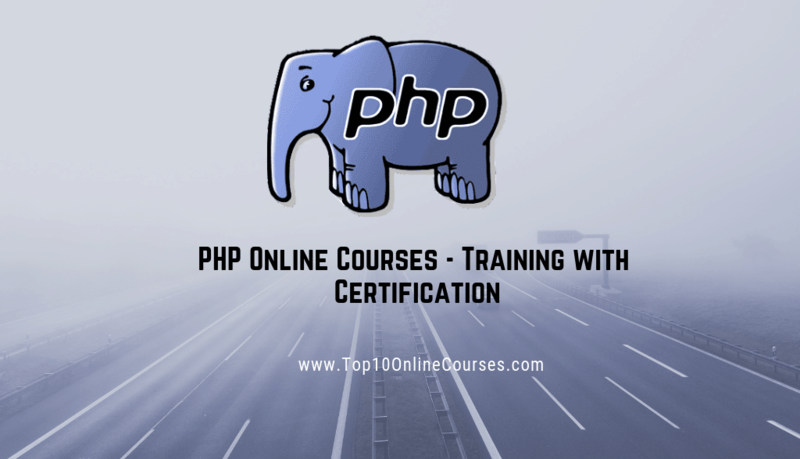 Building Blocks in PHP and its function also be learned in this course. Presentation of Links and URLs also taught by the instructor. He can also explain Form validation working with CSS. You will learn the concepts like connecting bootstrap, ending navigation, header, footer, creation of database, categories of design, creation of session file etc. Here we handpicked these courses by looking over all courses in deep way and these courses are best courses. 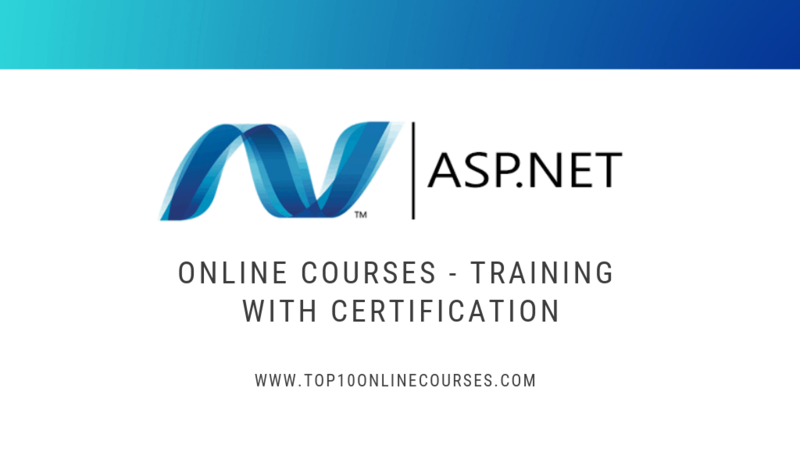 and we say these courses are very beneficial to you in which you can learn these courses in your free time available to you by sitting at home, these courses ends by giving the course completion certification. By learning this course you will get jobs like PHP developer, web programmer, PHP trainer, PHP back end developer etc. for any doubts or queries we recommend you to drop in the comment section. if you are satisfied with our article please do like and share with your friends through Facebook, Whatsapp, Twitter and all other Social Media.